Grain Power makes it simple to include a variety of delicious gluten-free ancient grains in your everyday meals. 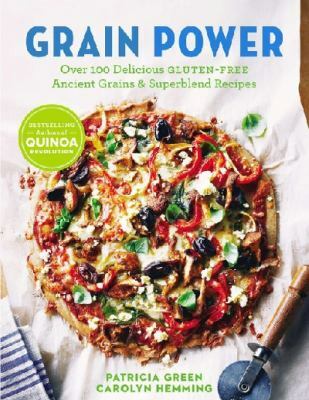 Ancient grains are ideal for people with food allergies or gluten intolerances and for those looking for delicious, nutrient-rich grains for a healthy lifestyle. Packed with lots of variety and unique flavors, these recipes feature the popular gluten-free ancient grains amaranth, buckwheat, chia, kaniwa, quinoa, millet, oats, sorghum, and teff. Bad Behavior has blocked 2021 access attempts in the last 7 days.